Shopping for others can be challenging, especially if you are trying to stere away from repetitive, unnecessary gifts. Thankfully, you can never have enough athletic wear. If you are like me, you are constantly wearing, sweating, and changing your workout clothes. I have tried every type of workout clothing and equipment and have nailed down my absolute favourites for you from Sport Chek. 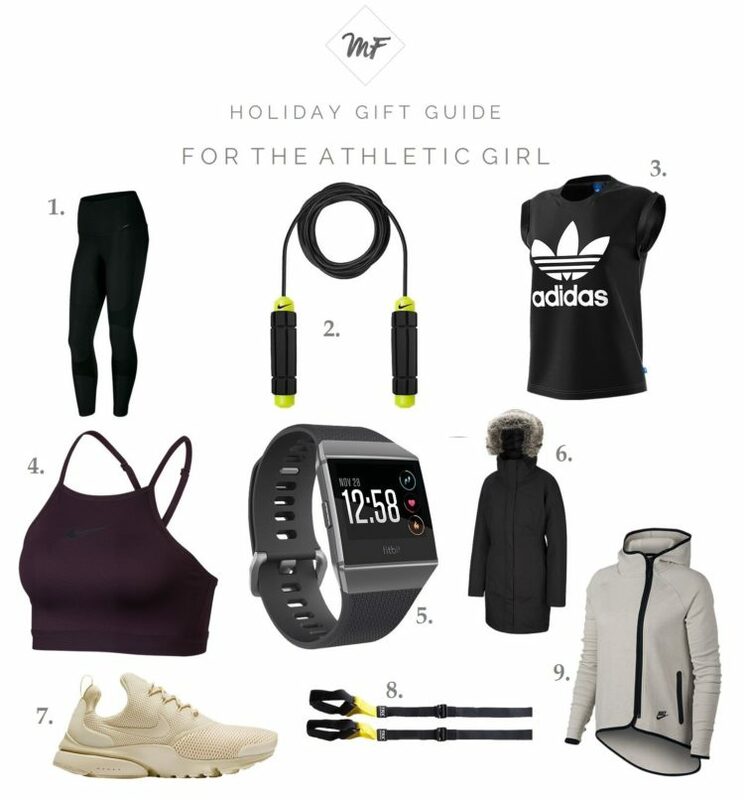 This gift guide includes everything you need to tackle your New Year goals- from supportive, quality workout gear, to fitness equipment that can get you sweating and building muscle from home. I’ve thought of everything, even a warm coat to get you to the gym, and a stylish athletic hoodie that you can throw on for your post-workout errands. Hope you enjoy my holiday gift guide, and use these goodies to get you motivated to tackle your goals in the New Year!